Married with 2 children… Jess and Jack (13 & 15) Moved from MTB to mainly Road and progressed from Sportives to racing Criteriums last year with 3 top tens. Martin Joined the club this year and has been a regular on the Sunday club runs whatever the weather. I first came across Martin on a MTB ride organised round Guisborough Woods. At that time he brought along his dog that ran the whole 15 mile route and I remember thinking, “I hope Martin doesn’t turn out to be as fit as that as he’ll be giving us some trouble! 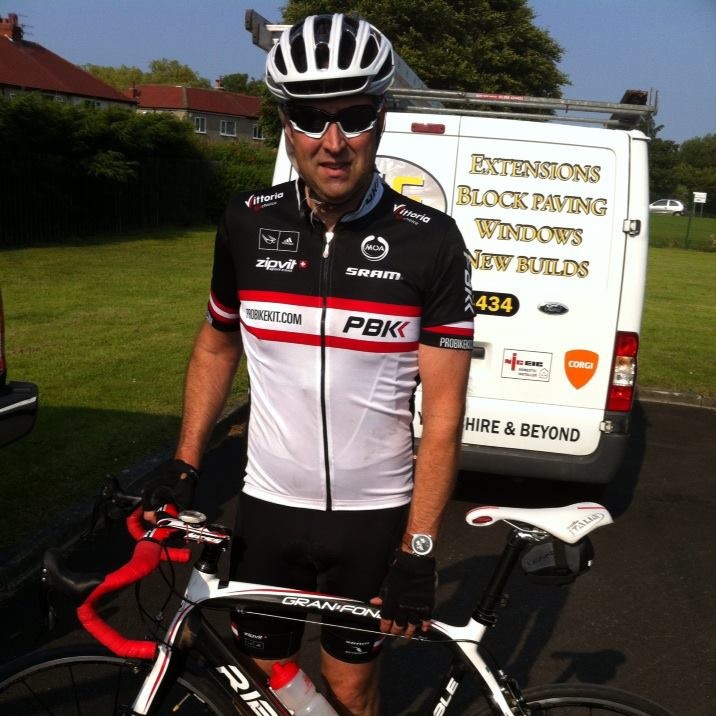 !” A few weeks later he turned up on his first Club run and hasn’t looked back. He now regularly rides with the faster group and is gaining momentum as the weeks roll on. Going on his recent form I think he’ll have a good year and hopefully get some good positions in local races.